There are over 150 chapters in the Bible that deal with the last days. Putting all of these pieces together is difficult, but there are certain things that are very clear and which all evangelicals agree. Jesus Christ will return to earth. His return will be sudden and unmistakable. It won't be some "spiritual" return, rather he will physically return to earth. He physically ascended to heaven and he will physically return to earth (Acts 1:11; 1 Thes 4:16; Rev 1:7). The fact that it has been 2000 years does not make his return any less certain. His first coming was prophesied hundreds of years before his birth! Rather than being filled with doubt because of the delay, our hearts should be filled with longing to see him (Rev 22:20) and we should live as if he could return at any moment (Matthew 25:13). The early church lived with this eager expectation (Phil 3:20; James 5:7-9; 1 Peter 4:7) and it fueled their missionary zeal. At the same time, they realized that his return would be on his timeframe, not their own (2 Peter 3:8-9). Scripture is clear that we do not know that day or the hour that the Lord will return (Matthew 24:44; Mark 13:32-33). We must be careful of falling for those who make specific predictions regarding the date of his return. Many predictions have been made and none of them have been true. In the late 1980s thousands of copies of Edgar Whisenant's book "88 Reasons in 88" were sold. "Rapture fever" spread among evangelical Christians. His follow-up book "89 Reasons in 89" did not sell nearly as many copies! You would think that people would learn, but even today the secular press is carrying a story about a Christian "numerologist" that is predicting the return of Christ on September 23, 2017! 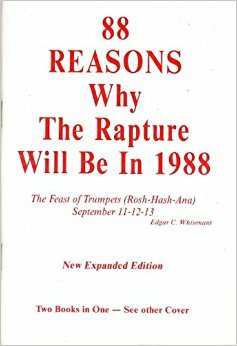 Because of the numerous false predictions and the daunting amount of material to be analyzed, many have ignored the study of the end times. This is foolish! To neglect over 150 chapters of God's Word is to miss much of what God has given us to equip us to live fruitful lives today (2 Timothy 3:16-17). In addition, while the Bible tells us that no one knows the day or hour, it also says that it will NOT surprise us like a thief (1 Thes 5:3-4). The gospel must be preached to all nations (Matthew 24:14). An intensification of wars, famines, and earthquakes (Matthew 24:6-8). The Great Tribulation (Matthew 24:21-31). Cosmic signs (Mark 13:24-25; Matthew 24:29-30; Luke 21:25-27). The Coming of the "Man of Sin" and the Rebellion (2 Thessalonians 2:1-10). The Salvation of Israel (Romans 11:25-26). In his first coming, Jesus came to bring salvation (John 3:16-21). His second coming will serve a different purpose. 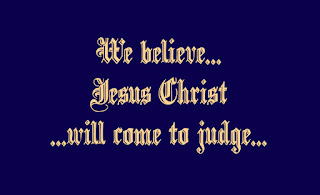 He will come to judge each person. Jesus is the judge of the living and the dead (2 Timothy 4:1; Acts 10:42). He will judge impartially according to a person's actions (1 Peter 1:17). No one will be able to complain that they were treated unfairly. The wrongdoer will be paid back for the wrong that they have done (Col 3:25). There will be degrees of punishment for the wrongdoer (Luke 12:47-48). This should not lead us to think that the "light" punishment will be tolerable. The torment of punishment will be terrible for every sinner (Luke 16:22-24; Matthew 25:41). While we struggle to see justice here on earth, when that day comes we will look at the perfect justice of God and rejoice. Revelation 20:15 tells us that the key to not being thrown into the lake of fire is to have one's name written in the book of life. This is a reference to those who have accepted the salvation that is found through Jesus Christ (John 3:16; Romans 10:9-13). There is no condemnation for those who are in Christ (Romans 8:1). Followers of Christ have nothing to fear at the last judgment (John 5:24)! 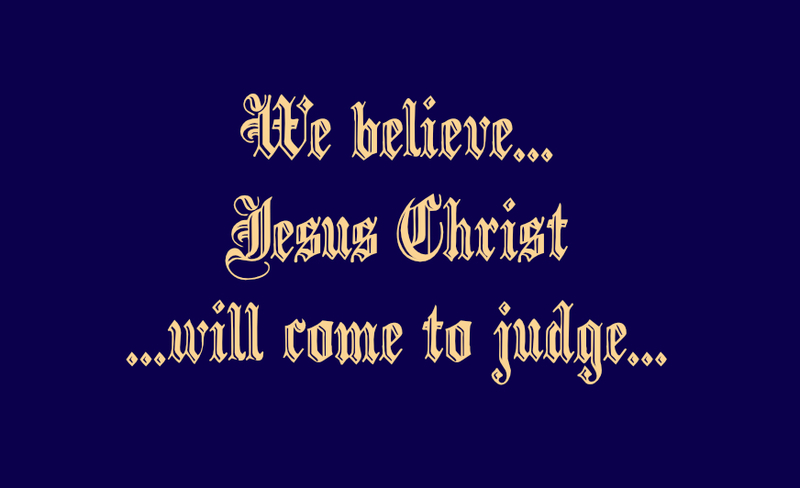 Still, it is clear that believers will stand before the judgment seat of Christ (2 Cor 5:10). The judgment will be a time of revelation and reward. It appears that on that day all things will be exposed and revealed (1 Cor 4:5). This includes the sins of believers. It is important to remember that these sins have all been forgiven and the result of their exposure will be praise and glory to God for His incredible mercy and grace. There will be an incredible realization that heaven is populated by sinners saved by the grace of God and the result will be worship. "Worthy are you, our Lord and God, to receive glory and honor and power, for you created all things and by your will they existed and were created." (Rev 4:9-11).